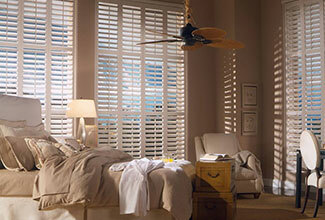 For the best custom draperies, shutters, blinds, and shades in San Diego County, come to Drapery Land. We are a family-owned company with over 30 years of experience in providing interior window treatments throughout Carlsbad, Vista, San Marcos, Poway, Escondido, and surrounding areas. Over the years we have served over 19,000 clients, who can attest to our exceptionally high level of workmanship, meticulous attention to detail, and personalized customer service. Our custom-designed and professionally-installed window coverings are made from high quality materials that add beauty to any home or business. 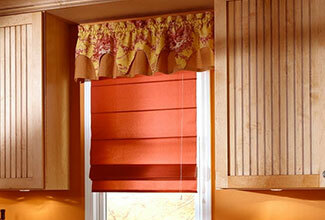 They are also highly effective at increasing privacy, blocking sound, and reducing glare and heat. 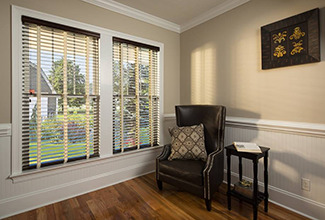 Because we work hard to keep our overhead low, we can afford to offer our draperies, shutters, blinds, and shades at extremely competitive prices. In addition, we offer some of the fastest turnaround times in the industry. On average, we can complete most custom orders within 7-12 business days, as opposed to 2-8 weeks from the big chain stores. We are authorized dealers and certified installers for a number of leading brands, including Skandia, Century Blind and Shade, Graber, Kirsch, Kaslen, Robert Allen, and more. Our wide range of window treatments come in a large variety of traditional, modern, and contemporary styles, with hundreds of fabrics, colors, and decorative hardware (such as finials, frames, and brackets) to choose from. 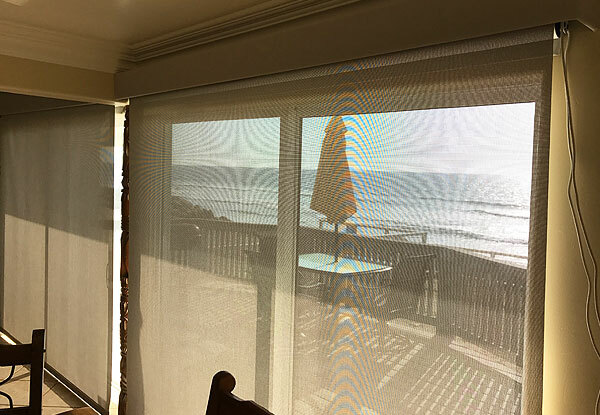 Whether you need blackout shades for your house in Poway, sound-insulated draperies for your townhome in Carlsbad, or vertical blinds for your office in Escondido, we can create the ideal window covering to meet your specific needs and budget. Our licensed installers have over 20 years of industry experience each, and are highly knowledgeable about all the current trends and window treatments available on today's market. After getting a sense of what you are looking for during an initial phone consultation, we arrive at your home or business with a broad assortment of samples and design books for you to peruse. Because of their extensive experience, our technicians know the right questions to ask to ensure that we are designing the perfect window covering for your desired purpose, aesthetic preferences, and privacy needs. We then take accurate measurements to ensure that your blinds, shades, shutters, or draperies will be constructed to perfectly fit the shape of your window or door, as well as complement the overall interior design of your home or business. Drapery Land offers San Diego County's best value in window blinds, shutters, curtains, and shades repair services, and can complete the majority of window treatment repairs on site. If there's substantial damage to your window coverings, we will carefully remove them, ship them to the factory for repair, and reinstall them once they have been fixed. Whether you need to replace a single curtain panel, fix a broken shutter frame, or replace a malfunctioning roller shade, you can trust us to get the job done quickly, efficiently, and affordably. Contact us today to schedule an on-site consultation with one of our experienced staff. We are available Monday through Friday, 8am - 5pm, and Saturdays by appointment.